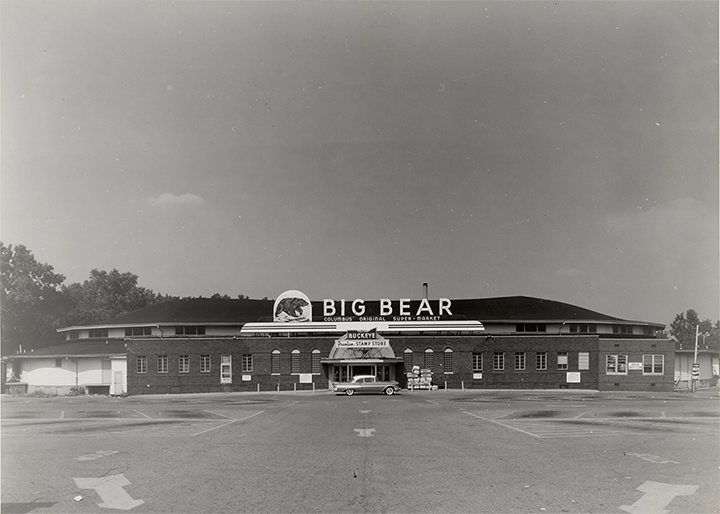 The first location of Big Bear stores opened at 386 W. Lane Ave., across from Ohio State University, on Feb. 15, 1934. 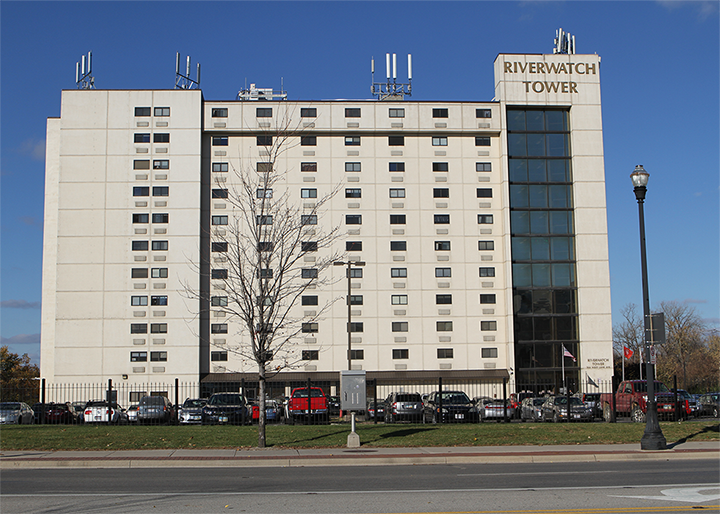 Today, the Riverwatch Tower provides apartments on campus for students. This entry was posted	on Tuesday, December 6th, 2016 at 1:25 pm	and is filed under Past and Present, Photograph. You can follow any responses to this entry through the RSS 2.0 feed. Both comments and pings are currently closed.